They say it takes a life time to put together that perfect cow herd, are we there yet? No, not yet! However, we have witnessed and been part of a lot of change and adapting to new technology over the years since we started down this path of breeding Simmental back in 1973. As we go about our 364 day per year search for outcross genetics, the replacement selection criteria we use, includes feed efficiency – the ability to turn forage into meat and milk, average daily gain, udders, temperament, feet and legs, genomic profile, birth weight, fertility, over all performance, maternal calving ease and last but not least feminine females and masculine males. Additions to our nucleus herd are selected by asking ourselves, very simply put, have they earned the right to stay here and walk our pastures? 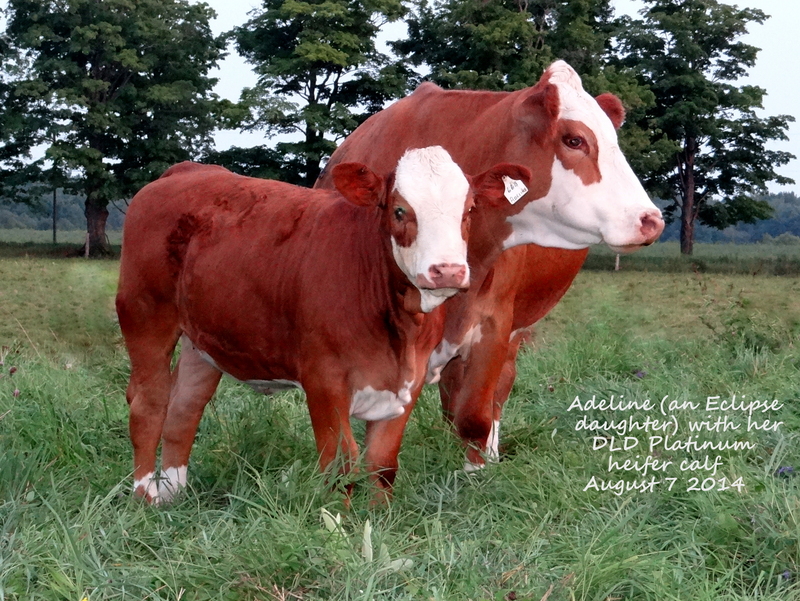 The challenge of breeding polled genetics into our herd has been very intriguing. It began with the introduction of polled genetics into our nucleus herd in 1998, with each and every polled female then bred back to horned genetics. Now several years later we have developed a number of homozygous polled females to be part of our walking herd which gives us additional opportunities to continue to add those time proven horned genetics from the 1970’s & 1980’s . 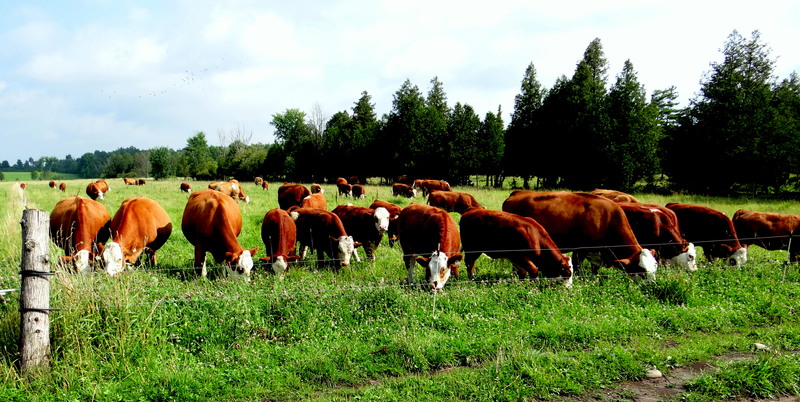 Our cow herd is continually evolving and moving ahead as we attempt to once again raise the bar. In many cases, superior, feed efficient, polled daughters are now replacing their dams and grand dams. I do not know just what the future holds. However one thing is for certain, our goal of improving feed efficiency within our cow herd is something we have been working on for several years now and is still very much a high priority here. Have we been able to breed or purchase that perfect bull or female? No not yet!! However that does not mean for just one moment we are not attempting to locate and/or breed them.